European born, mother daughter team bringing delicious, gourmet mustards and unique jellies, dips and more. All of our products are handcrafted in small batches and made with European influence and old recipes. 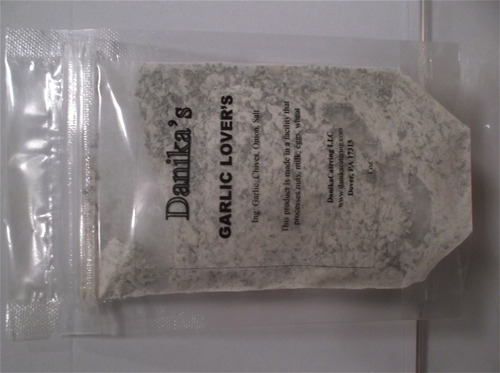 Taste Danika's array of products for an out of this world experience! Every good gathering needs some amazing food, look no further than Danika's Lavender Mustard, it will spice up any dish that you add it to and make it completely unique and delicious! A unique twist to a standard grainy mustard. Infused with real Lavender flowers, every bite will explode with hints of lavender and the sweetness will fade away to some heat from a mustard. Use it any time with almost everything it will completely change the taste of your food! Pair with wine and good hard cheeses, or grilled meats. Great for any cookout , party, holiday gathering or a girls night in and so much more. It is all natural, small batch product, old traditional recipes. Look no further than Danika's Sriracha Mustard, it will make any dish a spicy adventure for your taste-buds to enjoy. A unique twist to a standard yellow mustard. This spicy mustard will tease your palette with its mild sweetness and kick of heat that isn't shy. Bland food will become magnificent with the use of this mustard. Use it any time with almost everything it will completely change the taste of your food! Pair with eggs, on sandwiches or any meat. Great for any cookout , party, holiday gathering and so much more. It is all natural, small batch product, old traditional recipes. Stand out with Danika's Beet Jelly! An out of this world jelly. A sweet delicate jelly made with red beets. An odd pair combing beets with a jelly but this has perfect harmony and will delight you and your senses. Use this in your appetizers or in salads. Great for any beet lover and those that are adventrous in trying extordinary products. Its excellent to use in holiday parties, cook outs, dinners and so much more. Do you like sweetness and heat combined? Then look no further than Danika's Pineapple Habanero Jelly. This jelly is a perfect blend of the two things. Your first greeted with the sweetness that only comes from fresh pineapple and then you have a delayed kick of heat from the habanero peppers. One taste and you'll be hooked; you will keep coming back for more. This is perfect to pair with wings, or create appetizers with it and so much more. Great for parties, cookouts, tailgates and so much more. It is all natural, small batch products, old traditional recipes. A simple but perfect dip to suit any need. You can't go wrong with Danika's Garlic Lover's Dip. This sweet dip blends perfectly garlic and chives to bring you a delicious treat. So many uses for this simple product, you can use it in other foods, you can make a dressing out of it, you can make a marinade with it and so much more! Travel the world without ever leaving your couch. 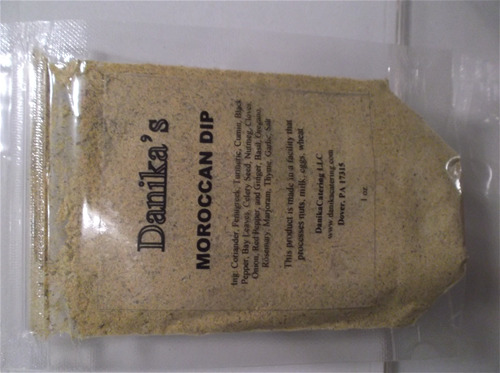 Taste of Danika's Moroccan Dip for an out of this world experience. This simple dip combines a variety of herbs in a harmonous blend that stuns the taste-buds and makes you feel like you just stepped into Morocco. Perfect as a dip, or use as a rub on meat or add it to a dressing and so much. Great for any gathering, if you are wanting to experience different flavors and so much more.